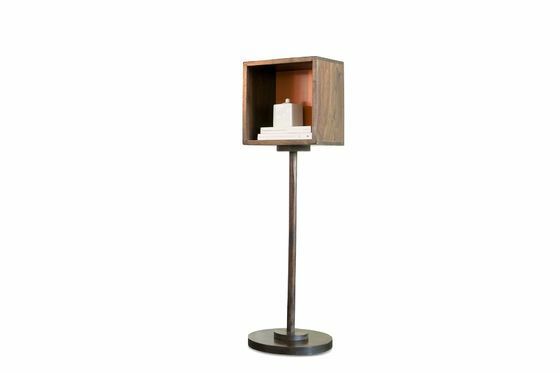 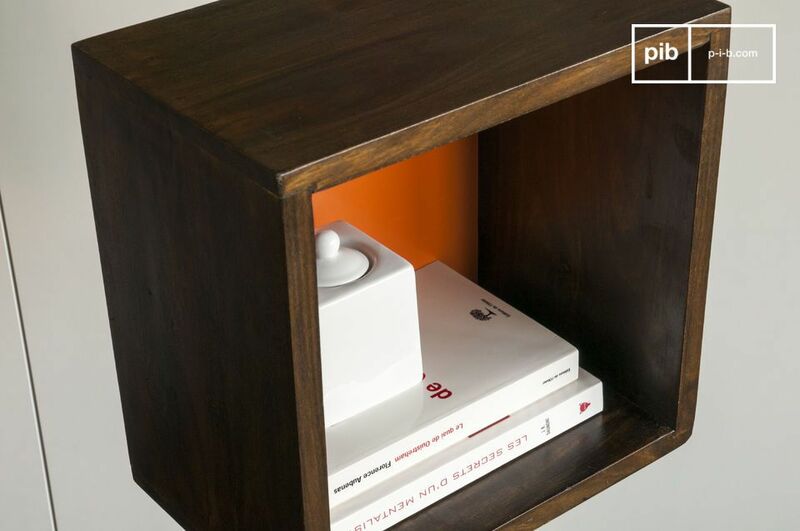 This storage piece made of wood is perfect for presenting your favourite objects in the proper light and keeping important items handy. 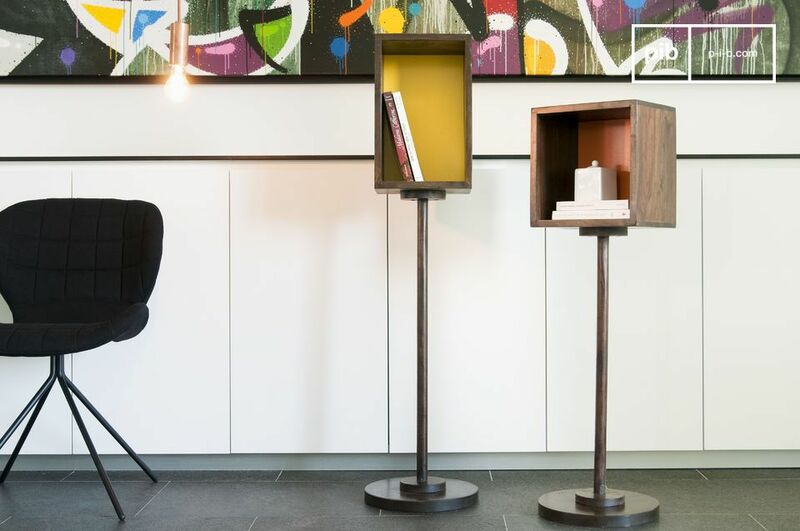 The shelf Yumi consists entirely of varnished solid wood in a resolute retro style, which attracts all attention due to its beautiful colour. 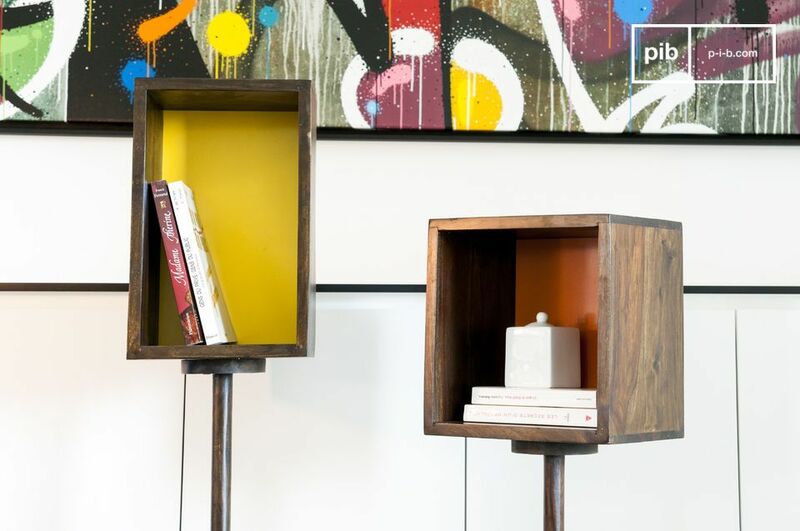 The shelf Yumi can be used alone or with its yellow, slightly higher partner.